I have been getting back into themed weeks for my 4 year old, and Space was one of the themes that came about as my 6 year old has been learning about planets at school. 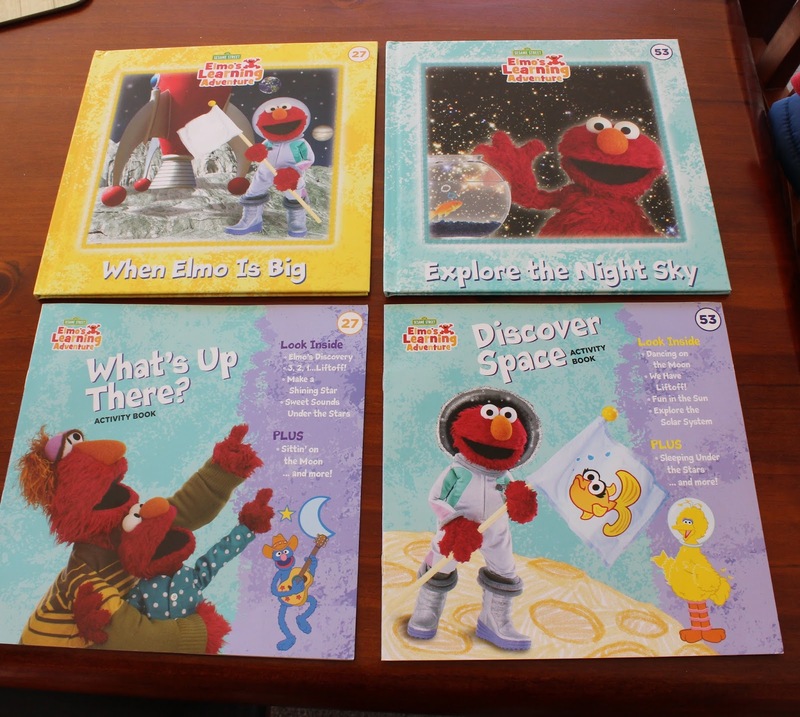 We had a huge supply of Space themed books already on the bookshelf- including these gorgeous ones from the Elmo's Learning Adventure set we purchased a couple of years ago. 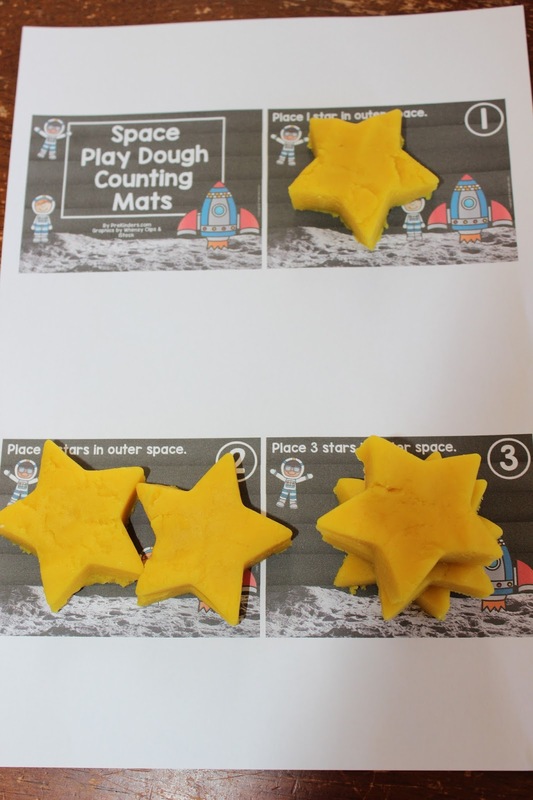 One of the first things we did was to make yellow Playdough to create stars for the counting mats- Adam insisted on using a large cookie cutter to make star shapes so we ended up stacking stars on top of one another. We also decided to make our own galaxy in a jar. 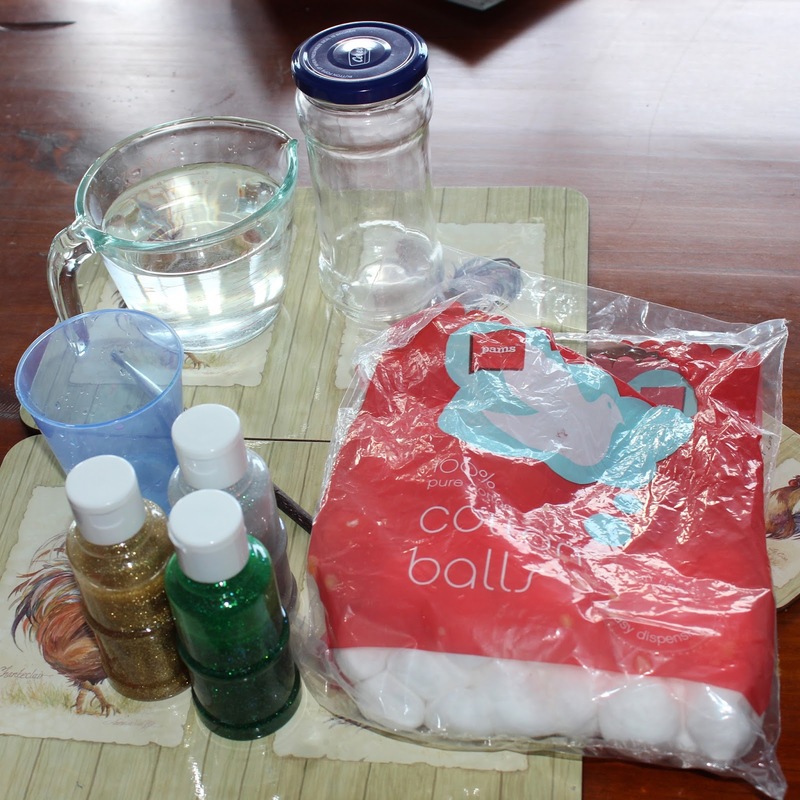 We got together a clean jar, some water, cotton balls, acrylic glitter paint and a paintbrush to create the galaxy. 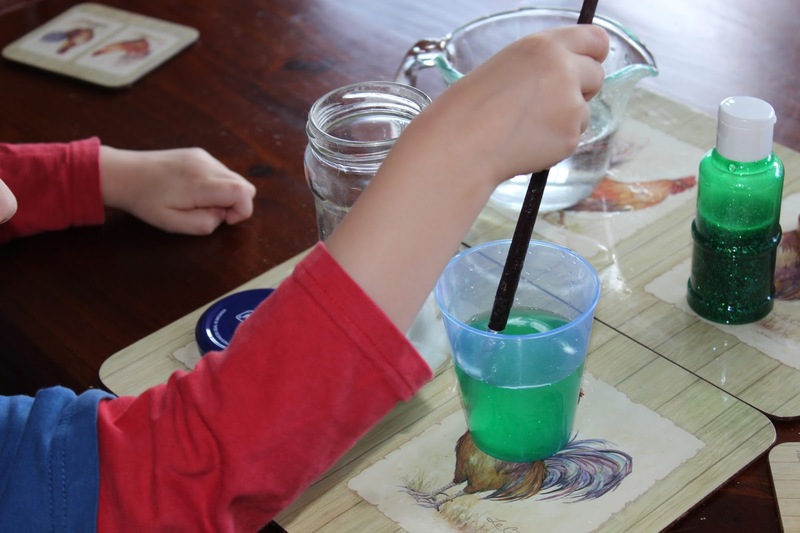 We mixed some water with the acrylic paint to create a pourable consistency. 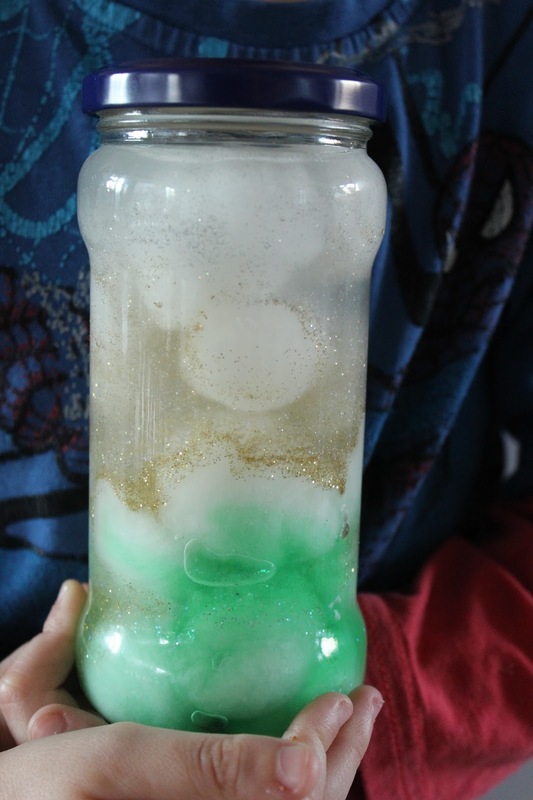 We then layered cotton balls in the jar and used one colour of paint at a time, mixed with the water, to soak in and create this galaxy. 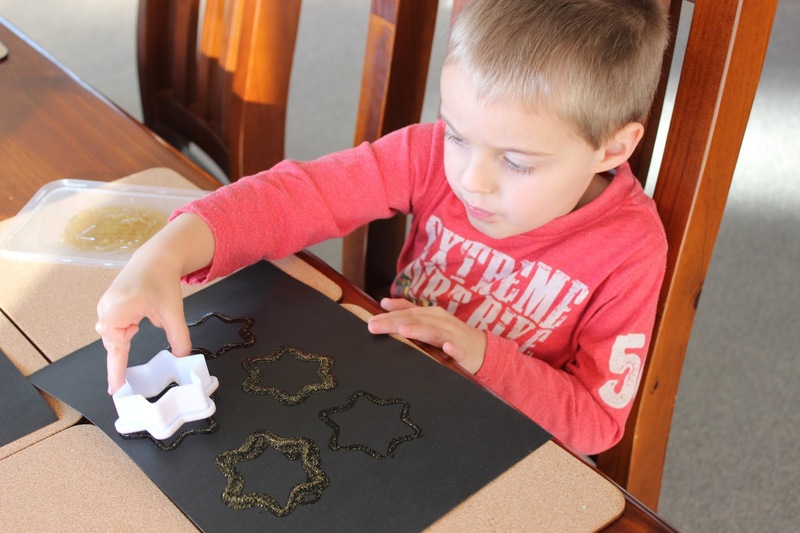 Another simple cookie cutter activity also involving glitter paint was to stamp stars on a black background- Adam loved layering the stars and had to create three pages of them! We talked about why we can only see stars at night and I showed Afam how a telescope works to view things in space. 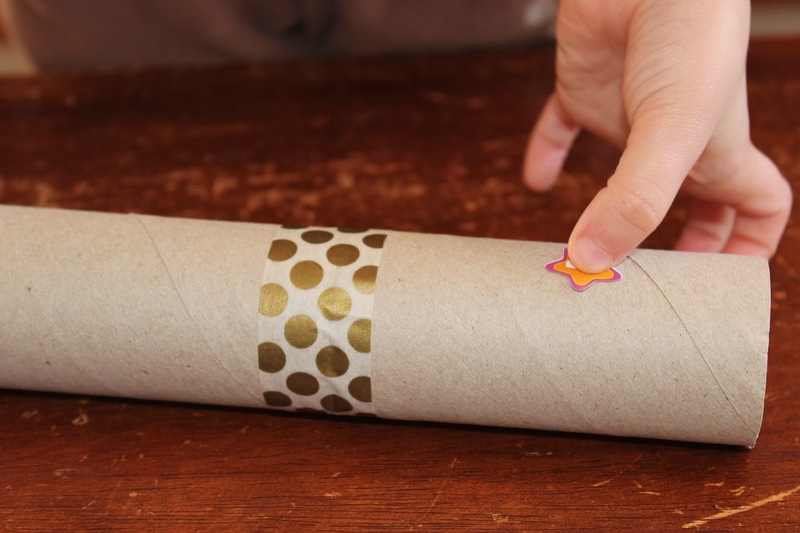 Adam wanted to make his own telescope so we stuck two toiler tolls together with washi tape and then decorated it with star stickers. 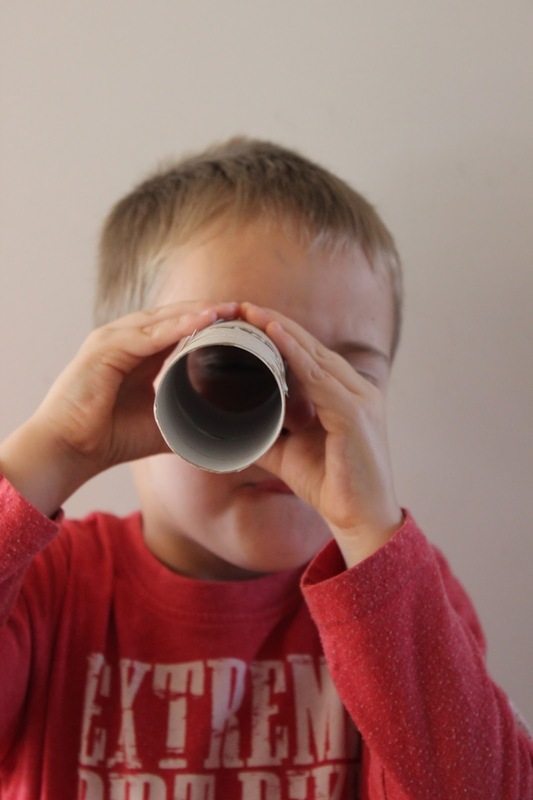 This was great for imaginative play, as Adam was walking around looking through his telescope and telling me what he could see. 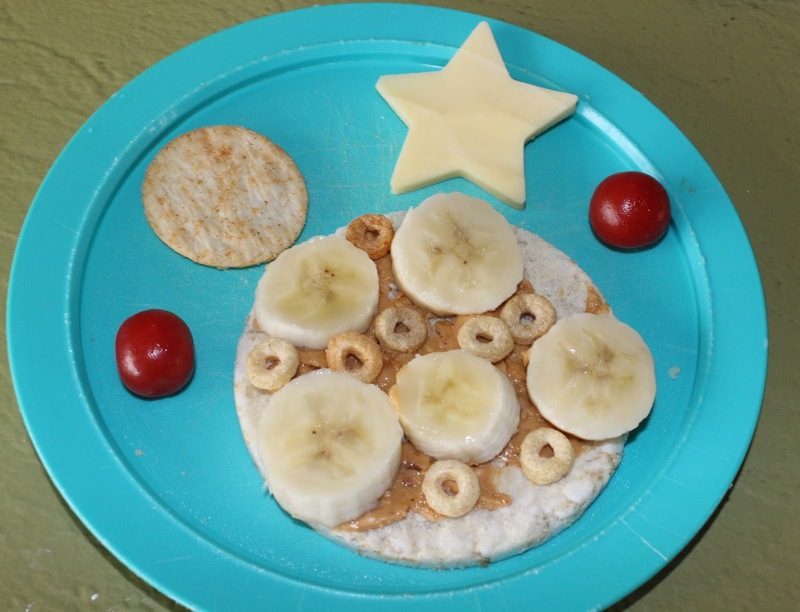 Our snack was a planet of rice cake, banana and cheerios with peanut butter, surrounded by a cheese star and some smaller rice cracker and cherry tomato planets. 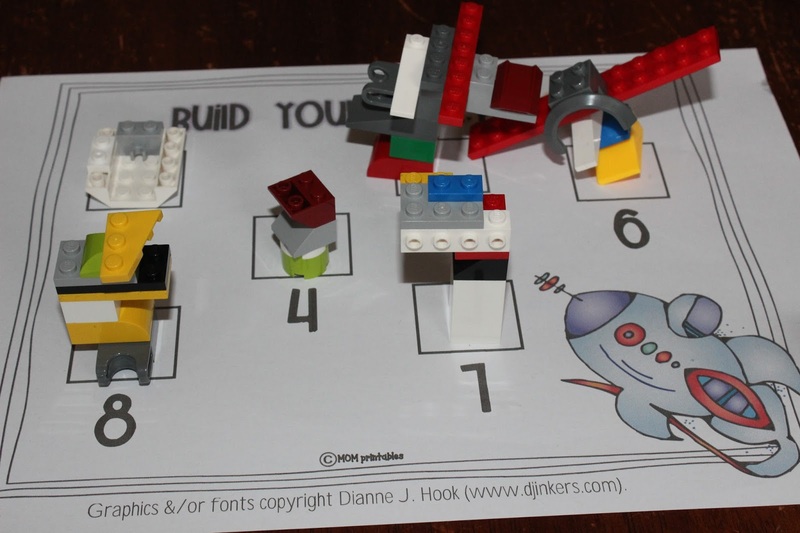 Adam also really loved this Lego game for building his own rocket ships. It was a great math lesson too! Our Space week was a lot of fun and I cannot wait to share more preschooler themes with you in the coming months.